As a follow-up to the previous post on the current state of disclosure requirements for litigation finance in the United States, this post considers two major questions in disclosure regulation. First, is mandatory disclosure of litigation finance inevitable and with that, are the trends in the court and legislatures in favor of full disclosure in every instance? Secondly, is disclosure of litigation finance advisable in every civil matter and should litigants be forced to not only disclose if their legal cost but also the financiers’ identities and the specific arrangements that were made? Starting with the first question, is mandatory disclosure inevitable? No. The primary reason for disclosure is to ensure that judges deciding the matter do not have a conflict of interest. Mandatory disclosure in regards to litigation finance would be to provide an advantage to a litigation adversary, which is not the intended purpose of disclosure rules. This is supported by the fact that Rule 7.1(a) requiring disclosures is intentionally very limited. To address the second part of question one, do trends favor mandatory disclosure; the lack of current regulation (as demonstrated in more detail in the previous blog post) suggests that the trends of the court at least do not favor disclosure. There have been discussions of new legislation and most recently in May, a draft bill introduced by Senator Chuck Grassley but so far there has not been anything definite to show a trend towards mandatory disclosure. As for the second question, disclosure is not advisable in every civil matter. But the one area where disclosure may be more helpful than burdensome is in collective litigation. In collective litigation there is generally no single plaintiff and the cases are often very sophisticated so the court plays a more active role than it does in single-claimant commercial litigation. However, this does not mean that mandatory disclosure should be automatic in every collective litigation case. In response to the second part of the second question, if disclosure is mandatory in a collective action case then it should be done in what Christopher Bogart deems a “common sense approach.” Which is to say that the disclosure should not be overly excessive to disclose every detail of the arrangement and maybe not even the identities of the financiers but rather in a way that affirms to the judge that there is no conflict and that the funder exercises no control over the matter. 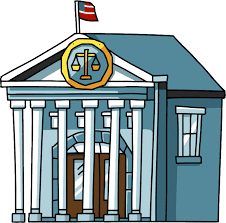 This can be done by calling for disclosure to be made ex parte and in camera to the judge only, not the defendant, and by stipulation that no discovery will be permitted into litigation finance arrangements as they are protected attorney work product. Works Cited: Christopher P. Bogart, Litigation Finance Disclosure in the US: Common Sense v. False Narratives, Bloomberg Big Law Business (July 11, 2018). This entry was posted in Uncategorized and tagged alternative litigation finance, commercial litigation, disclosure, Litigation Finance, regulation, third-party funding on January 30, 2019 by TownCenter Partner Team. The topic of regulation in litigation finance has been raised more and more frequently in recent news. Part of this is likely attributable to the rapid growth and success of the relatively new industry in the United States. Much of the talk of regulation is based on the topic of disclosure, when (if ever) should disclosure that a party to litigation is being funded by a third-party be mandatory? 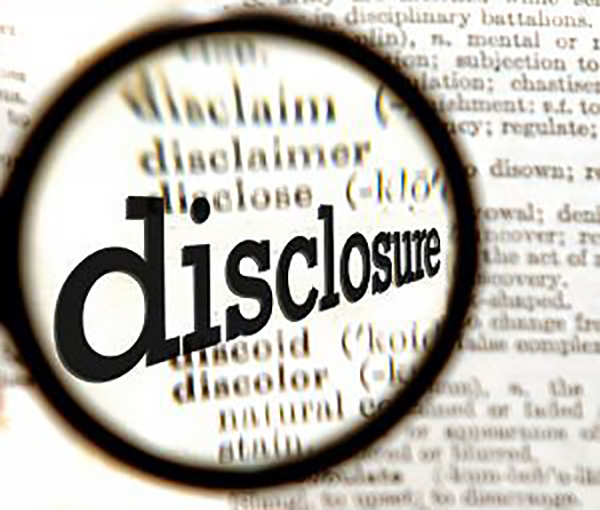 With the many ideas of regulation circulating but nothing finalized, this post seeks to identify a few key federal and state rules currently in place relating to disclosure in litigation finance to give a background understanding to the issue. At the federal level, there is no rule that requires automatic disclosure of litigation finance agreements in any case. This is sometimes confused with Rule 29.6 of the Federal Rules of Civil Procedure that requires disclosure of any parent corporation or public shareholder that owns ore than 10% of the party’s stock. This rule does not encompass litigation funders as they are not parent corporations or public shareholders, and financing litigation is not the same as buying stock in the company. While there is no general federal rule requiring disclosure, half of the circuit courts of appeal (6 out of 12 courts) have local variations on FRCP 26.1 that requires all outside parties with a financial interest in the outcome to be disclosed. At the federal district court level only 24 out of 94 district courts have a similar local variation to rule 26.1 to require disclosure of outside parties with a financial interest in the outcome. However, it is critical to note that these local variations do not specifically call-out litigation financers and could apply equally to any type of funders (ex: banks). Additionally, as a practical matter, the language in these disclosure provisions is extremely broad to potentially include a large number of commercial relationships and it is often not followed or enforced. At the state level, almost all states do not require the disclosure of litigation finance in commercial litigation. The one exception to this is Wisconsin. In March of 2018, Wisconsin passed a law requiring parties in all civil litigation to disclose funding arrangements. This seems to be in an effort to regulate consumer litigation funding. However, Wisconsin is such a small part of commercial litigation, making up only 0.11% of civil matters in all US state courts it is unlikely that this one state’s regulation will have much of an effect. It should be noted that these regulations are in regards to commercial litigation finance in the United States. This entry was posted in Uncategorized and tagged alternative litigation finance, commercial litigation, disclosure, Litigation Finance, regulation, third-party funding on January 23, 2019 by TownCenter Partner Team. Wisconsin Governor Scott Walker signed legislation in April that requires all third-party litigation funding deals to be disclosed, regardless of whether there has been any discovery request for that information. The law is consistent with lobbying efforts by the U.S. Chamber of Commerce, which has long been an aggressive critic of litigation financing. Wisconsin Act 235 requires litigants “provide to the other parties any agreement” under which third-party funders are entitled to a share in any earnings from a civil action, settlement or judgment. The rule excludes lawyer contingent fee arrangements. According to Law360, the new law is first of its kind on the state level. But the legislation may alienate many of the commercial entities that the Chamber purports to serve. In recent years, more and more businesses have sought to use litigation funding as a way to manage their risk and maximize the value of their litigation portfolios. Now they face some strategic harm from the legislation that the Chamber promoted. This entry was posted in Litigation Finance and tagged disclosure, discovery, Litigation Finance, regulation, third-party litigation funding on December 26, 2018 by TownCenter Partner Team. The expansion of litigation finance is drawing more attention from state and federal regulators. 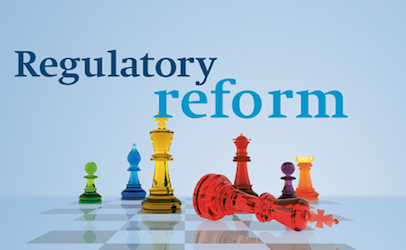 Up to now, there has been a patchwork of statutory and other regulations, but more and more legislatures and regulatory agencies are considering ways to regulate litigation finance transactions. For many years, litigation funding was entirely banned. With the last few decades, that ban has eroded. Today, about half of United States jurisdictions permit third parties to fund litigation more or less freely. Even where it is permitted, the sources of regulation for litigation funding can be diverse. In most jurisdictions, litigation funding is not characterized as lending. 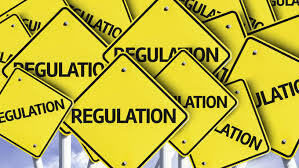 But, in some states, regulations come from the usury laws that apply to consumer lending. Of course, these regulations might not apply with the party receiving funding is a business entity. Other regulations pertain to disclosure. For example, Wisconsin just enacted legislation requiring the disclosure of litigation funding arrangements. Some courts, such as the federal district court for the Northern District of California, require disclosure of the participation of litigation funders in certain kinds of cases. But even with these disclosure rules, there’s still some uncertainty over the extent to which the attorney-client and work-product privileges protect funding arrangements from disclosure. Given this variety of regulatory sources, some litigation finance firms have considered uniting to develop and propose a set of disclosure and other rules that they can live with. As litigation funding continues to grow, the effort to regulate it will increase, and funders are probably well-advised to participate in its formulation. This entry was posted in Litigation Finance and tagged disclosure, Litigation Finance, regulation, third-party litigation funding on December 12, 2018 by TownCenter Partner Team. Continuing in the discussion of regulation in litigation finance, many people have heard of the proposed monetary caps on funding agreements included in regulation such as the bill being considered in the Senate right now. However, that is not the only type of proposed regulation for the industry. Some experts suggest rather that regulation should focus on the contract or agreement made between the funding company and the plaintiff. This is particularly on the forefront after the first ever large-scale study of consumer litigation funding in the United States was published. This survey was based on review of over 200,000 individual transactions between one of the largest consumer litigation finance companies in the country and individual litigants. The survey revealed that the litigation finance company complicated all the variables that go into how much the plaintiff will have to repay the company after a favorable result in the written contract between the two. Thus, it was nearly impossible for the consumer to know what her contractual obligation was. In fact, the hidden terms and costs were so buried that even some legislatures have missed them when considering disclosure. Additionally, the survey showed that about half the time the plaintiff’s attorney re-negotiated the agreement with the litigation finance company afterward. Even when the re-negotiations are meant to help the plaintiff get the best deal, it ultimately just added even more confusion for the plaintiff in the entire situation. This is why ultimately people are calling for litigation finance reform that simplifies the process and clearly outlines the procedure and costs for the plaintiff. Additionally, it should call for attorneys to keep the best interest of their client in mind from the beginning and thus, not complicate the matters further. 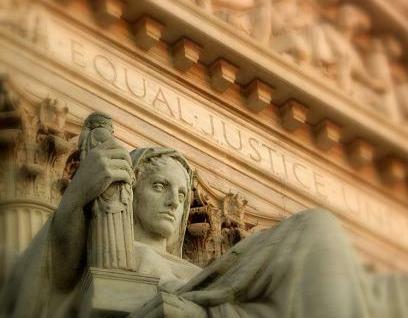 Works Cited: Ronen Avraham and Anthony Sebok, Americans Should Have the Proper Protections When Bringing Lawsuits, The Hill (March 29, 2018). This entry was posted in Litigation Finance and tagged alternative litigation finance, industry reform, Litigation Finance, regulation, third-party funding on October 10, 2018 by TownCenter Partner Team. As there is talk of more and more regulation of the growing multi-billion dollar industry that is third-party litigation finance, courts have continually upheld that litigation funding communications are protected by work product doctrine. Previously, we shared about proposed legislation that would require disclosure of third-party financing agreements in litigation. Recently this proposed legislation as well as other discussions regarding potential regulations of litigation finance in the United States, have given rise to questions about whether communications with potential clients and litigation financiers be protected. Just earlier this year District Judge, Cathy Bissoon of the Western District of Pennsylvania continued the trend of holding that litigation finance is included as part of the work product doctrine. Work product doctrine concerns the confidentiality of matters that have been prepared in anticipation of litigation. Judge Bissoon applied the law of the Third Circuit, denying a motion to compel by Seagate and Western Digital Corporation to disclose how Lambeth Magnetic Sturctures is financing the case against them. Thus, holding that the plaintiff’s communications with litigation-funding organizations including the funding agreement were protected by work product doctrine because they took place during a time when the plaintiff actually and reasonable foresaw litigation and they were for the purpose of preparing or litigation. While this is not a new decision, in fact it is very much in line with precedent from across the United States, this decision is especially important because it was in an intellectual property matter. For IP cases in particular, confidentiality is of the upmost importance because that is usually what the action is ultimately about. Therefore, the decision from Lambeth Magnetic Structures, LLC v. Seagate Tech. (US) Holdings, Inc. will help reassure clients in the IP field, a growing field for alternative litigation finance, that using this outside funding is a viable option. Works Cited: Katharine Wolanyk, Another Favorable Ruling for Legal Finance: Pre-Litigation Funding Communications Protected by Work Product Doctrine, Burford Capital (January 25, 2018). Lambeth Magnetic Structures, LLC v. Seagate Tech. (US) Holdings, Inc., 2017 U.S. Dist. LEXIS 215773. This entry was posted in Litigation Finance and tagged alternative litigation finance, law firms, Litigation Finance, regulation, third-party funding on September 26, 2018 by TownCenter Partner Team. Since its beginnings in the US, litigation finance has mainly been associated with helping the “little guy” in David v. Goliath lawsuits. While helping to level the playing field is very important, especially to companies like TownCenter Partners who value justice for everyone. Supporting smaller organizations is not the only use for alternative litigation finance. Litigation finance can be helpful to even the largest organizations to manage risk and use their resources more strategically. As larger organizations become involved in litigation financing not only is the market for it growing rapidly but it is also changing how funder’s run their business. The traditional model was that litigation finance companies gave an advance to individual clients to cover attorney’s fees and legal costs. But now single-case investments are not the only part of funders’ business. There is a growing trend toward larger portfolio investments that combine multiple cases and provide something like a credit facility that a client can draw on during its suit. Part of this is because as larger law firms are using litigation finance they are interested in having more flexibility to have alternative fee arrangements but don’t want to have to take on that risk all at once. For growth, it is helpful for firms to take on multiple cases at once but even if you only pick strong cases there is still a likelihood of at least some loses. Therefore, a third-party funder can help a law firm to manage its risks as it grows more rapidly. Additionally, the use of litigation finance for companies and law firms helps to add predictability to their litigation spending from quarter to quarter. With more and more jurisdictions approving of alternative litigation finance, including recently Hong Kong and Singapore, experts predict that the demand will only increase. As the market expands there will be continued discussion over regulations as we have already seen here in the United States, however, discussions about disclosures and other methods of regulation do not seem to be deterring the market. Works Cited: Nathan Hale, Litigation Funding Isn’t Just for the Little Guy Anymore, Law 360 (April 20, 2018). This entry was posted in Litigation Finance and tagged alternative litigation finance, law firms, Litigation Finance, regulation, third-party funding on September 19, 2018 by TownCenter Partner Team. Even though New York has an administrative regulation that guarantees transparency in litigation finance transaction, there is a movement in the state for additional regulation, which could greatly limit the availability of litigation funding, even for sophisticated commercial parties. Advocates of the proposed legislation rely on the same old, shop-worn arguments: that litigation finance prolongs meritless litigation and discourages settlement. But a clear view of the realities of litigation finance shows that such proposed regulation would do more harm than good. There are two different proposals that will be submitted to the New York Assembly in its next term. The first is promoted primarily by a tort-reform business group, the Lawsuit Reform Alliance of New York. The Alliance supports a bill that is sponsored by State Sen. Rob Ortt of Niagara Falls and that would limit litigation financing fees to 16% annually, or 25 percent for certain lenders licensed in the state. Another bill, sponsored by Assemblyman Michael Simanowitz of Queens, does not impose any limits on fees, but it would require transparency about fees from financing companies and would prohibit finance companies from basing their fees on the amount of the recovery. In particular, it would require finance companies to draft financing agreements with disclosures about fee structure, repayment terms, rights of rescission. In addition, the Assembly bill would require financing companies to be licensed by the state. The Assembly bill is less problematic than the version supported by the Alliance, but both have the potential to dramatically limit the availability of litigation financing in New York. In particular, strict limits on litigation financing could discourage lenders from doing business with small or mid-sized commercial clients. One litigation finance company has been encouraging legislators to consider amendments to the bills that would carve out exceptions for commercial litigation financing. The proposed New York legislation demonstrates the hazards of taking a ham-fisted approach to regulation. This is particularly worrisome when proposed legislation would sweep broadly, applying a single set of rules to both individual consumers and business enterprises, each of which has very different concerns and needs with respect to litigation financing transactions. The one thing that all litigants need in any financing transaction is clear disclosure rules, which New York already guarantees through a consent order implemented by the state Attorney General’s office. Beyond disclosure rules and transparency guarantees, it would be wise for New York legislators to be careful so that regulation does not have the perverse effect of limiting access to justice for both consumers and business enterprises. This entry was posted in Litigation Finance and tagged commercial, legal reform, litigation costs, Litigation Finance, New York, regulation, third-party funding on July 26, 2017 by TownCenter Partner Team.